Chemotherapy constitutes one of the key treatment modalities for solid and hematological malignancies. Albeit being an effective treatment, chemotherapy application is often limited by its damage to healthy tissues, and curative treatment options for chemotherapy-related side effects are largely missing. As mesenchymal stromal cells (MSCs) are known to exhibit regenerative capacity mainly by supporting a beneficial microenvironment for tissue repair, MSC-based therapies may attenuate chemotherapy-induced tissue injuries. An increasing number of animal studies shows favorable effects of MSC-based treatments; however, clinical trials for MSC therapies in the context of chemotherapy-related side effects are rare. In this concise review, we summarize the current knowledge of the effects of MSCs on chemotherapy-induced tissue toxicities. Both preclinical and early clinical trials investigating MSC-based treatments for chemotherapy-related side reactions are presented, and mechanistic explanations about the regenerative effects of MSCs in the context of chemotherapy-induced tissue damage are discussed. Furthermore, challenges of MSC-based treatments are outlined that need closer investigations before these multipotent cells can be safely applied to cancer patients. 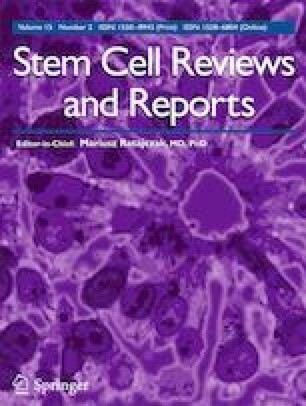 As any pro-tumorigenicity of MSCs needs to be ruled out prior to clinical utilization of these cells for cancer patients, the pro- and anti-tumorigenic activities of MSCs are discussed in detail. We appreciate the scientific support of Rainer Saffrich, Patrick Wuchter, Klaus-Josef Weber and Jürgen Debus. The authors also thank the research group members Thuy Trinh, Sonevisay Sisombath, Marina Szymbara, Alexandra Tietz, Franziska Münz, Oliver Xia and Jannek Brauer for their help.